9W/75 Lumens LED Light Bulbs - 4 Pk - Only $13.99! You are here: Home / Great Deals / 9W/75 Lumens LED Light Bulbs – 4 Pk – Only $13.99! 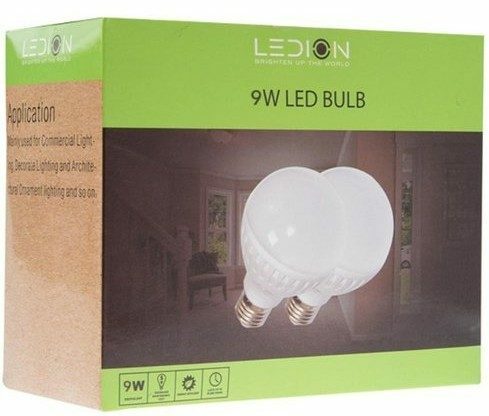 9W/75 Lumens LED Light Bulbs – 4 Pk – Only $13.99! LED bulbs uses only a fraction of the energy of an incandescent while lasting over 25 times longer. They have nothing harmful in them and the price has finally dropped! These 9W/75 Lumens LED Light Bulbs – 4 Pk – for Only $13.99 features the latest technology to look and light up just like a normal light bulb. Like a normal light bulb, it turns on instantly, is fully dimmable without buzzing, and emits a perfectly multidirectional light!